Features: Fast and easy replacement. Effective performance for large 180 square foot rooms. 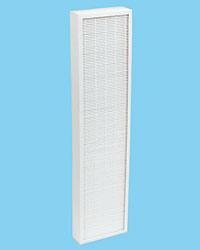 Allergen reducer HEPA filter that fits into Hamilton Beach purifier model 04491. Extremely effective performance at capturing dust/dust mite debris, mold spores, pollen, smoke and pet dander.